It’s a year ago today since the chimneys were demolished! 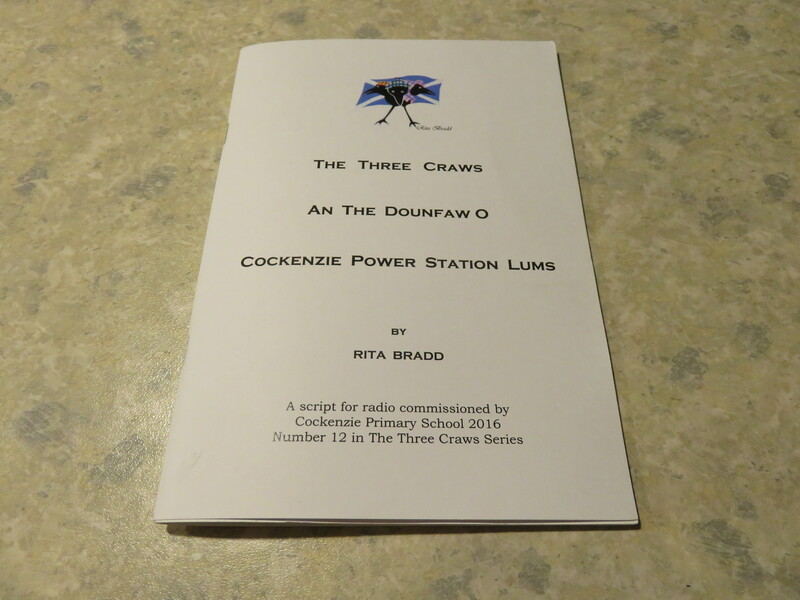 With a very full programme for the Literary Festival and time being limited, P4 class teacher Janey Nicol suggested delaying The Three Craws script. She sent out forms with the children to ask families and friends for their memories of Cockenzie Power Station, and also for the children to describe their feelings and impression of the chimneys falling to the ground. 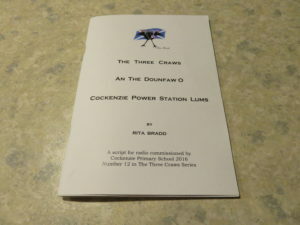 This would form the basis of ‘The Three Craws An The Doonfaw O Cockenzie Power Station Lums’. 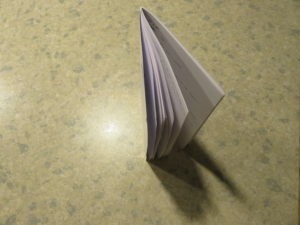 I carried out research into the history of the Power Station and interwove this into the script. Coincidentally, a lead person that features in my book about the clipper ship City of Adelaide http://ritabradd.com/category/cityofadelaide/ was once a Manager of the Power Station. 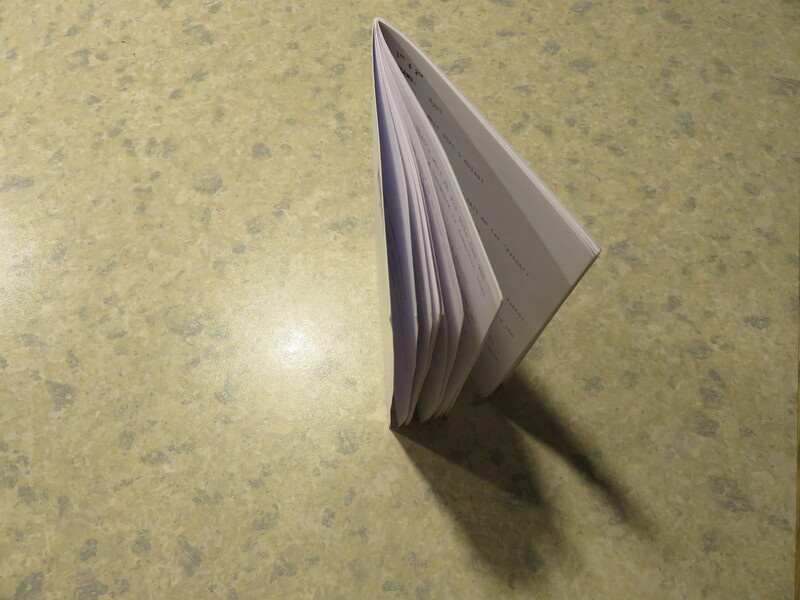 I wanted to present the script in booklet form rather than A4 sheets stapled together that my troupe uses, for ease of handling by the children and for a professional look. 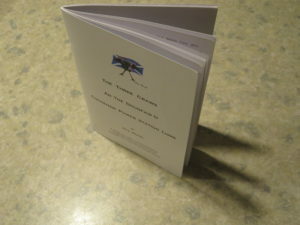 I was absolutely delighted with the result, printed by http://www.dunbar.org.uk/lothian-printers/ .The scripts were delivered to the school in early June, along with badges for the children of families who took part in the research, and prizes for the most impressive contributions.